Channeling Mr. T, I pity VW. 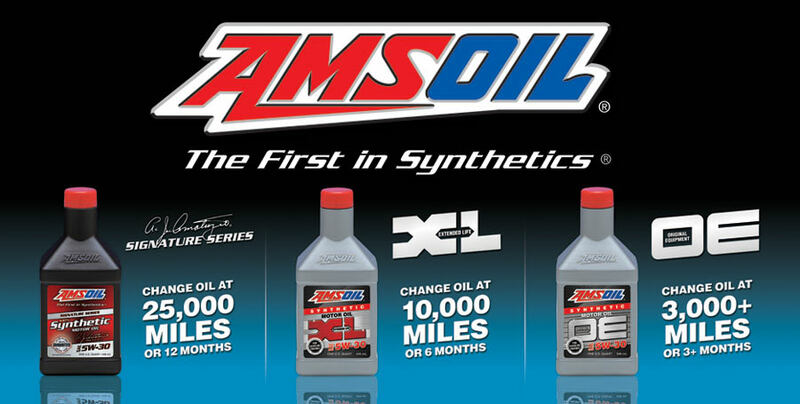 The company has been Hiroshima’d by the fallout from the diesel “cheating” scandal. But the nuking was its own doing. VW should have defended what it did – what it had to do. The EPA has become an out-of-control secular mosque occupied by rabid regulatory ayatollahs who – like the turban’d ones – are religious maniacs. VW harmed no one by “cheating” the EPA. And – arguably – helped a bunch of people, by offering high-mileage alternatives to expensive hybrids and electric cars, including its own. The company should have pointed out that the cars at issue were (and are) “clean.” That the brouhaha is over fractional differences in the composition of the exhaust stream. That EPA’s standards are no longer reasonable. Instead, they took it up the pipe. And now, so will we. The Jetta – still a great car – is less so now because it’s no longer available with the 46 MPG TDI engine, which also made it unique. No one else offered that kind of efficiency in a car that stickered for less than $22k to start. And now no one does. Luckily, there are other options, Jetta-wise. Including the now-standard 1.4 liter gas turbo engine that comes close to the mileage delivered by the 2.0 liter turbodiesel and at a lower price point (just under $18k to start). Not-so-luckily, VW has decided to only offer the punchy 1.8 liter turbo engine in the more expensive SEL trim – and to no longer offer it with a manual transmission at all. The Jetta is VW’s almost mid-sized family sedan. It is not as large on the outside as mid-sized standard-bearers like the Toyota Camry and Honda Accord, but has about the same interior space as well as a very large trunk (just as large as the Camry’s actually). 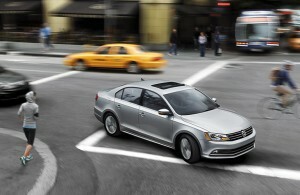 The Jetta also has more interior space than a same-size (on the outside) car like the compact-sized Chevy Cruz sedan. 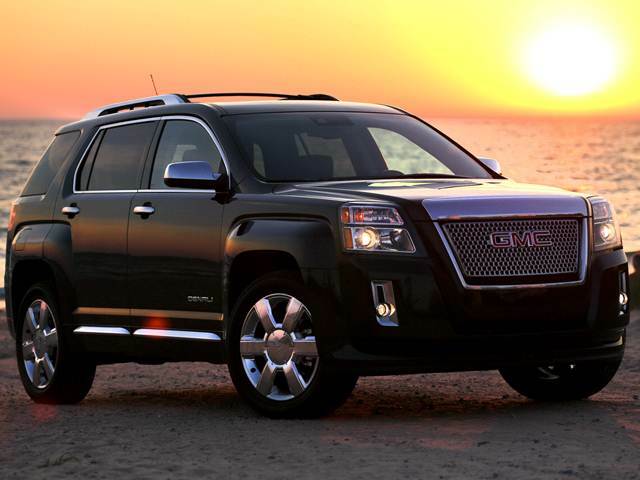 Base price is $17,895 for the S trim with the 1.4 liter turbocharged gas engine and a five-speed manual transmission. The same car with a six-speed automatic stickers for $18,995. 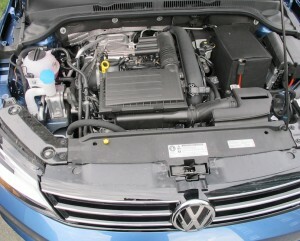 Two other engines are also available in the Jetta, but only in the higher (SEL and GLI) trims. They are a 1.8 liter turbocharged four (SEL) and (in the GLI) a 2.0 liter turbocharged four. 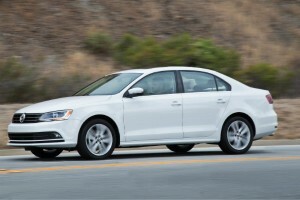 The SEL begins at $24,995 and the GLI starts at $28,995. The previously optional diesel’s gone, but there’s a new turbocharged four that’s nearly as fuel efficient – and it’s standard. Though it doesn’t quite match the MPGs of the politically incorrect TDI engine, the 1.4 liter-equipped base trim Jetta costs about $4k less than the TDI Jetta did. This makes up for a lot at the pump and down the road. The bad news – if you like to shift for yourself – is that the 1.8 liter engine is no longer available with a manual transmission and the engine is only available in the higher-cost ($24,995 to start) SEL trim. 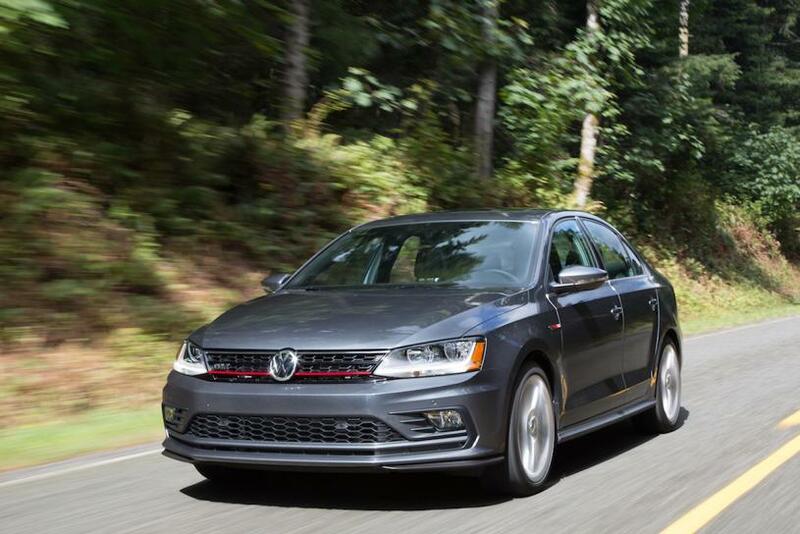 Last year, you could buy a 1.8 equipped (and manual transmission) Jetta Sport for $20,895. All trims get an updated touchscreen and suite of apps and a standard USB hook-up in place of VW’s weird “pig tail” hook-up. As roomy inside as larger-on-the-outside cars like the mid-sized Toyota Camry while being much more reasonably priced to start. 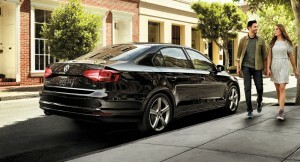 New 1.4 liter four delivers near-TDI mileage for thousands less up front. Two more engines to choose from. Most cars in this class have a standard – and one optional – engine. Getting into a 1.8 liter-equipped Jetta costs thousands more than it used to cost to buy a TDI Jetta. Precarious prospects. The “cheating” scandal has hurt VW. And hurt resale values of VW’s cars, whether diesel-powered or not. The Jetta’s base engine is a new engine. It’s a turbocharged 1.4 liter four – a smaller engine than the Jetta’s formerly standard (but not turbocharged) 2.0 liter four. Although it’s smaller, it is much stronger: 150 hp and 184 ft.-lbs. of torque vs. 115 hp and 125 ft.-lbs. of torque for the previous not-turbocharged 2.0 liter four. The old 2.0-equipped Jetta needed about 11 seconds to achieve 60 MPH – in the same ballpark as a Prius hybrid. Which would have been okay if the Jetta 2.0 delivered Prius-like mileage. Just 23 city, 34 highway – and the real world numbers were generally worse because the engine had to be worked like a Vietnamese Ladyboy just to keep up with traffic. Last time I test drove one, I averaged about 24 MPG. Which is no great shakes for a four cylinder-powered family car. The new 1.4 engine is a huge improvement. Not just power/acceleration-wise but also mileage-wise. 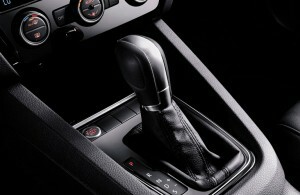 With the standard five-speed manual transmission, the 1.4 liter Jetta gets to 60 in just over 9 seconds – and mileage is an excellent 28 city, 40 highway. To appreciate the excellence of this, note that the mileage of the shoo’d off the stage diesel was 31 city, 46 highway – which is more excellent than the 1.4 gasser’s. But not by much. Just 3 MPG better in city driving and 6 on the highway. And even that advantage is washed away by the 1.4 Jetta’s $4k cheaper price. Especially given $2 per gallon gas. Uncle’ s emissions fatwas have not only killed off diesels, they killed their economy advantage. The design changes necessary to comply with the fatwas – things like particulate traps and urea injection – have greatly reduced the mileage delivered by diesels even before Uncle decided to sit on VW for “cheating” on the tailpipe tests. Doubt this? 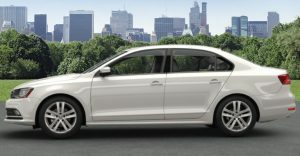 Have a look at the Euro-spec Jetta (which has a smaller 1.6 liter TDI engine). It returns 60-plus MPG on the highway and 40-plus in city driving – better than any hybrid car you can buy in the U.S. Better than most motorcycles you can buy in the U.S. Even if Uncle gave VW permission to sell the 2.0 liter TDI again, it would be a hard sell vs. the 1.4 liter gasser given the U.S.-spec diesel’s marginal 3-6 MPG advantage and much higher buy-in cost vs. the 1.4 liter gasser. But why can’t we have the Euro-spec. 1.6 liter diesel? Be sure to send a thank-you note to Uncle. Next up is a 1.8 liter turbo four. It makes 170 hp and 184 ft.-lbs. for torque. This version of the Jetta can get to 60 in 7.4 seconds and also gets 25 city, 36 highway – better mileage (and much better performance) than last year’s base 2.0 liter gas engine. But VW no longer lets you buy this engine in the lower-priced S and SE trims – and it’s no longer available regardless with a manual transmission. It comes only in the SEL trim – and only paired with a six-speed automatic. Uncle hasn’t issued a fatwa that says VW can’t sell the 1.8 liter engine with a manual transmission – or sell it in the lower-priced trims. But, Uncle’s fuel-efficiency fatwas put pressure on VW and every other car company to sell the most fuel-efficient engine/transmission combinations – which happens to be the automatic transmission combination. And to sell fewer cars equipped with less-efficient engines, because the more they sell, the lower their overall Corporate Average Fuel Economy (CAFE) numbers end up being. Which brings down fines. So VW – like many others – still offers stronger (but less economical) engines. But only in the lower-production/higher-priced trims, to tamp down the downward pull on the CAFE number and (hopefully) reduce the fines it has to pay Uncle (or add to the sticker price of its cars). If you want more power, there’s also a third option – a turbocharged 2.0 liter four (not to be confused with the previously standard and not-turbocharged 2.0 liter four). This one makes 210 hp and 207 ft.-lbs. of torque and is basically the same engine used in the Golf GTI. So equipped, the Jetta’s 0-60 run improves by almost 1 full second to about 6.4 seconds. Mileage is only slightly less than with the 1.8 liter engine, too: 24 city, 33 with the automatic (a manual – a six-speed manual – is still available with this engine and the rated mileage is only 1 MPG less – in city driving – when so ordered). The optional automatic – uniquely available with the 2.0 engine – is VW’s DSG automated manual. It offers quicker gear changes (and better efficiency) than the conventional automatic used with the 1.8 and 1.4 liter engines but be aware that the DSG transmission is extremely expensive to service/replace, should that ever become necessary. VWs are unique in that they are the only mass-market/modestly-priced cars that are direct kin of luxury-brand/high-priced cars. Well, ok, there is Lincoln – which re-sells tarted up (and heavily marked up) Fords. But with VW, it’s the reverse. VWs are close kin of Audis – sold at a discount. You get the same bones – the underlying chassis, suspension and many other foundational components – sometimes even the same (or very closely related) engines. These are the parts that make a given car feel (and drive) a certain way. 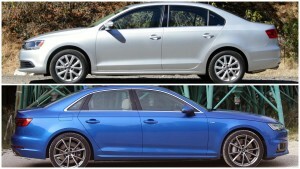 So, it’s no surprise that the Jetta drives a lot like an A3 or A4 sedan. 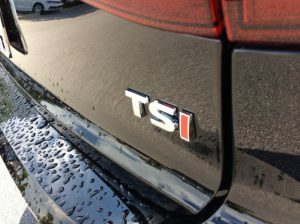 The A3’s standard engine is the same 1.8 liter engine that’s the optional engine in the Jetta and both the A3 and the A4 offer basically the same 2.0 turbo four that’s available – with ten fewer rated hp – in the Jetta. The Jetta – designed specifically for the U.S. market and larger than the Jetta sold in Europe – is soft-riding for a German car, but (being a German car) still has formidable capabilities in the corners if you like to drive like a German. At first, you may be hesitant, precisely because the ride is so soft. That usually means lots of body roll and tire squeal if driven the way Germans drive. But the Jetta is made by Germans who are excellent engineers, who know that ride and handling are not necessarily mutually exclusive things. Similarly, the steering feels light, but this does not mean it’s sloppy. And now that the base engined Jetta has some balls, you can power out of the corners, too. I’d prefer the 1.8 liter engine if I were going to buy a Jetta for myself – because it has bigger balls. But the huge price uptick (and automatic-only thing) would probably prevent me from checking that box. The top-of-the-line 2.0 engine is nice, too – but the way VW structures it, you can only get it in the priciest-of-all GLI trim. 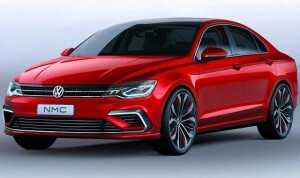 Though to be fair to VW – if you cross shop the Jetta GLI against the V6-powered versions of larger-on-the-outside but not-much-roomier-inside mid-sized sedans like the Toyota Camry ($31,370 for a V6-equipped version) the GLI Jetta comes off looking not-quite-that-pricey. The just-updated Camry, incidentally, is also automatic-only. With the base four or the optional six. The closer-in-size (outside) Chevy Cruz offers a manual – but just one engine (regardless of trim). 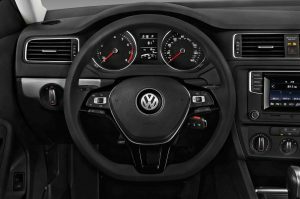 I liked the VW’s straightforward main gauge cluster, dominated by large speedometer and tachometer. Which by the way has a redline that starts at 6,000 – but the engine will spin to 6,800 before the rev limiter cuts in. This “over-rev” function works like a shot of Captain Morgan in a mug of hard cider. Similarly (and unlike a lot of new cars) visibility is enhanced by the single sheet of front door glass, which is not broken up by a fixed “wing vent” (with a frame to obscure your view). The pull-up emergency brake is great for emergency stops and steers … if you get my meaning. The seats are (like the suspension/ride) both supportive and soft – and that’s a happy combination. They also have a wide range of up and down adjustment, such that the Jetta is very comfortable to pilot even for lanky geeks like me. The Jetta is not flashy but has its own kind of inner beauty. 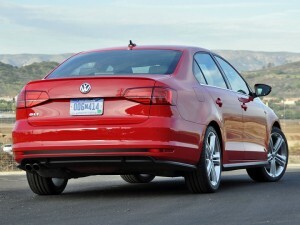 Up front, the Jetta has 41.2 inches of legroom; in the second row, 38.1 inches. The VW’s trunk has 15.4 cubic feet of capacity. The Camry has just slightly more room up front (41.6 inches of legroom) and in the second row (38.9 inches) and its trunk is exactly the same size (15.4 cubic feet). But the Camry will take up almost a foot more room in your garage – and needs that much more leeway to slot into a space curbside. Arguably, it is wasted space. You get a bigger shell (and a bigger price) but not more car. The same-size (outside) Chevy Cruz, meanwhile, has a bit more front seat legroom (42 inches) but its backseat is much tighter (36.1 inches) as is typical of compact-sized (on the outside) sedans. Getting back to the Audi -VW kinship. The Jetta looks like what it is – a less flashy A3 or A4. Very similar overall shape, just less adorned. Same inside, where you get a cut above as far as the materials and fitment. The updated touchscreen is well-designed in that it is designed to be easy to operate while the car is moving. Many are not. They are impressive when the car is not moving, on the showroom floor, and the sales dude is showing you all the Gee Whiz. But what’s trick for an iPad or your flatscreen at home is often not the hot ticket in your car. Something you can’t see but which is nonetheless happy to have is the Jetta’s larger than most fuel tanks. It holds 15.5 gallons – about a gallon more than most same-size sedans (the Cruz’s holds 13.7 gallons) and that extra fuel takes you just that extra bit farther – and makes it seem like a full tank lasts a bit longer. Which, of course, it does. 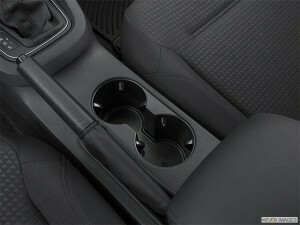 Gripes: The cupholders – located in the center console – are too small and not adjustable to accommodate anything larger than a standard-sized coffee cup. Likes: The plug-in for the USB and 12V power point are both conveniently located where you can see and get to them – ahead of the gear shifter, on a shelf just below the center stack. VW still supplies a single-slot CD player, too. And there’s Bluetooth for your iPod/phone as well. Audi-esque available features include a cooled glovebox (SEL trims), LED exterior and ambient interior lights and heated windshield washer nozzles (SE trims). But it’s too bad about the diesel. And not just the 2.0 TDI we were allowed to have for awhile. Most Americans don’t even know about the 60-plus MPG 1.6 liter TDI we were never allowed to have at all. 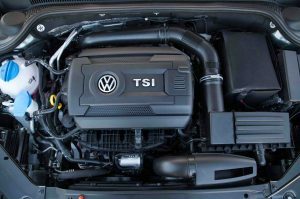 The loss of the TDI engines – both of them – is a tragedy. For VW and for us. But the Jetta is more than just a shell for a great engine. And the TDI engine wasn’t the only great engine you could get in a Jetta. If you enjoyed this article, have had it with control freak Clovers, Goo-guhl, diversity mongers and like contrarian, liberty-minded media, please consider supporting us. EPautos.com depends on you to keep the wheels turning! Unfortunately, the author’s dislike of government intrusion into logical automotive freedoms doesn’t go far enough. The EPA’s own ratings of fuel economy are well known among “diesel heads” to be flawed. A 3-4 mpg advantage for diesel is, in real world driving, up to an 8 mpg advantage. The power is also not equivalent, as low end torque (what most people use to drive, not 0-60 sprints) is substantial in a diesel of roughly equivalent cost/displacement. Most cars that offer(ed) a diesel option require or recommend premium gasoline for the standard engine, thus making comparisons to the price of regular somewhat moot. 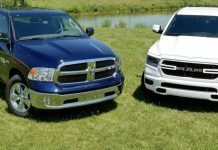 Diesels have many other advantages, but the pollution controls that are designed to fit gasoline vehicles are unfairly imposed on diesels that are cleaner in other ways, and are found to be an extra expense/reliability issue. It is possible that the cleanest gasoline engines emit much higher small particulate matter, for example. All good points – especially as regards the real world efficiency advantage of diesels. I can attest to this from personal experience, having driven pretty much all diesel-powered vehicles built/sold in the U.S. since the mid-1990s. VWs, in particular, noticeably exceeded the EPA ratings… even they way I drive! 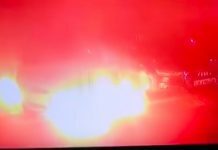 Is the quality of VW’s good? I always hear they are not reliable and cause a lot of problems. 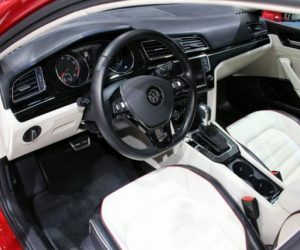 VWs are generally very good cars with the exception of the automated manual (DSG) gearbox, which had had some issues and is a very expensive box to repair or replace. 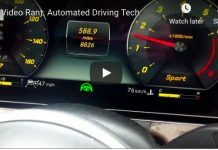 Stick wth the manual or the conventional (not automated manual) automatic and you should be ok! I’ve been a diesel car guy all my life, but things have changed, and not only everyone’s favorite psychotic uncle… In the upper midwest, diesel costs a lot more than 87 octane and often more than 91. This makes a 10-20% mpg difference go away. 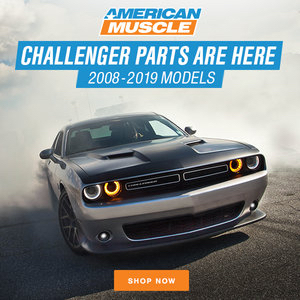 Factor in the computer controls which make them more expensive to run half a million miles that mechanical diesels used to do, for marginal gains in efficiency, and late model gas/turbo stuff is a better deal. I’ve been sorely tempted by a powerstroke or duramax for my car trailer hauler, but when they have 2-300k on them (when they enter MY bottom feeder market) the cost of a set of injectors could exceed that of the truck. I’m looking now for a nice late 90’s chevy or GMC with a vortec 350, extended cab, short box, and cheap to keep up. Thank God for Cash for Clunkers, it took so many of those high quality used cars out of circulation! Gotta say, the 2.0 Turbo Jetta w/6 speed DSG comes very close to being a “just right” blend of quality, economy and sport. Just like the Passat, if they offered it in wagon configuration, I’d be very, very tempted. Yes, I know that what “used to be” a Jetta wagon is now offered as a Golf. But that model is sadly de-contented of the 2.0T engine and DSG. A very well written and informative car review…not one written by the car marketing group or some political corrected corporate sycophant just doing some chore. Hard to find these reviews, today. Just look at Edmunds or LA Times reviews or USA Today….they do not want to offend anyone or the car maker, for sure. …They are like these so call New/Opinion on Cable, just trying to come up with something for the 24/7 schedule. These opinion presenters could care less about the veracity or opprobrious or their programs. And even more important .. if their information is injurious to their listener or society. They are hard to watch without getting a visceral reaction. 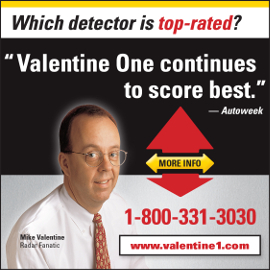 I find many of these autos reviewer that are available on-line are in the same class. 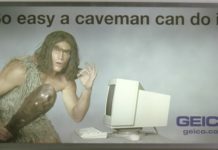 Just words on a computer, complete an assignment. On to the next assignment or program. 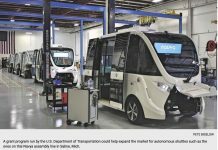 Maybe Trump will change these rules that has asphyxiated the manufacturers from developing reasonable autos for the consumer to own and operate. I still have no faith in VW quality. Can not depend on those autos… finding someone to repair them is hard to come by in my experience of driving them. Their dealerships are TERRIBLE in customer service. My experiences with VW has been less than dreadful. That said.. they should be allowed to operate and build diesels without all these rules. Hope to see them back on the market in the USA. Thanks, Tom… did you catch the contretemps I find myself in with GM? Otherwise, it sounds like this Jetta may be my answer as I was in the market for a Camry as a daily driver (would love a Miata, but this state gets too much snow & I don’t have the space for snow tires when it isn’t snowing). Your thoughts would be greatly appreciated Eric, and yes, everything is because uncle. Oh and yes, I am the type to run cars into the ground before replacing them. I’d grab that TDI… right now! I doubt the government will do anything like require the car be surrendered if not “fixed.” Your inly issue – and it may not even be an issue – is passing the emissions tests required in some areas to renew (or get) registration. And even so, the “cheating” cars all passed the usual state-county smog tests; it’s the federal certification tests VW was accused of (and admitted to) “cheating.” The cars emit a bit more NOx under certain conditions. And you will love the car. Got marked as spam when I replied to your response on the 2017 Jetta review. Thanks for the advice! 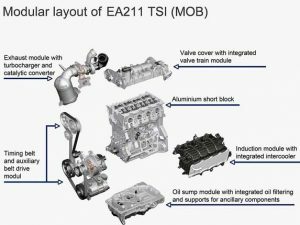 2 more questions: Is there anyway to verify that this TDI has not been modified? Also, are there any mechanical issues that VW or Passats in particular that I should be aware of. I’d hate to go from a Camry to a much roomier & better milage Passat only to find out I’ll have some electronic issues in the future, which those German cars seem to be fond of or other issues that likely would have been avoided with the Toyota. 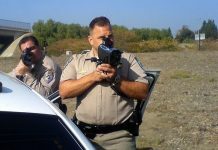 I sent a link to this site to a friend of mine in California, I hope he becomes a regular reader. He loves V-8s & loves standard transmissions (no autos allowed). I tried to look at my registration info per the message I received, but cannot locate the link for it. Please let me know what I need to do to fix this. If the ECU/programming has been altered, it will be difficult to determine absent a receipt or record of some kind. Has the seller got any documentation available? 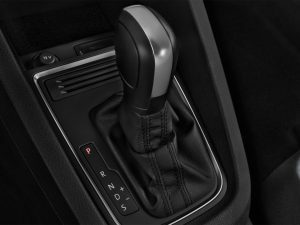 The big issue with recent VWs that I’m aware of is the DSG (automated manual) transmission. These can be catastrophically expensive to replace. As in, costs more than the car is worth – or costs so much that it’s not worth fixing. 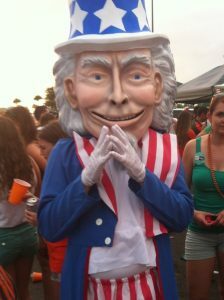 It’s a dealer so hard to say. I’ll have to check the state laws, but I believe technically, they probably can’t sell the car unmodified, but when I chatted w/the salesman it sounded like he had no problems getting rid of it. The car is in Oregon. Hmm, well, I don’t know how to drive standard unfortunately, so I suppose I’ll have to learn if I want to drive a recent VW. I have left leg/knee issues that worry me as well as that I have to take occasional business calls while driving, but maybe it’ll be worth it? Now, if only I can find someone to teach me. It’s strange to see how the 150 HP 1.4 TSI is sold with a 6 speed gearbox on all the European markets, but just with a 5 speed gearbox on the supposedly more competitive American market. Maybe it has something to do with the lower price of the car in the US as compared to Europe. Its time to SHUT DOWN or at least DRASTICALLY REFORM EPA’s demented policies not just the extremely idiotic automotive regulationd but the whole lot of absurdly useless regulations that are strangling US manufacturing ABD ABOVE ALL WORKERS , good thing if Trump SHUTS DOWN THE EPA !